"'Just three more stops,' I thought to myself. I gripped my knife, the handle digging into my flesh. I closed my eyes and tried to think of Eris." A descent down the path of self-destruction, does salvation lie around the corner or is it merely an illusion? 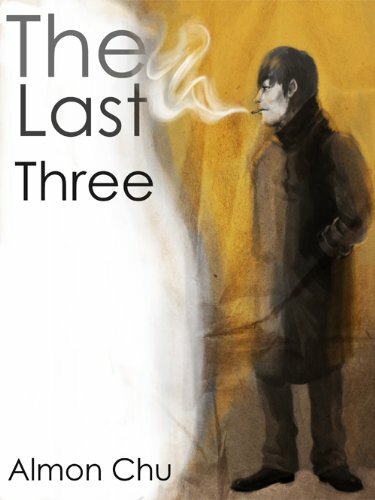 The Last Three is a captivating story of a lost soul on the streets of a modern dystopia. First off: Everyone should seriously go to amazon right now and buy this book. This book is freaking amazing and the best and most unbelievable part is it was on $0.99!! The Last Three is one of those books you don't forget quickly. Almon Chu perfectly describes the city from the beggars on the train to the "wannabe gangsters" trying to start a fight if you even glance their way. From the first page when we meet Jon he had me hooked, curious to know what Jon's story was. I found it really refreshing to be reading a book in a males POV; we don't usually get to see things in their perspective and once again Almon does a great job making his characters seem so real, almost as if you know Jon yourself. Though this story is considered a novella it really feels like so much more. The Last Three captures you from the beginning and you won't want to let go until you finish.This is a must read for everyone! Great job Almon Chu, I look forward to reading more of your stories!